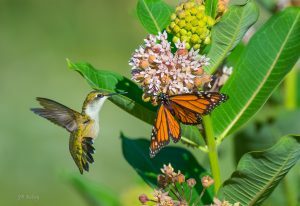 You can provide beautiful, vital habitat for pollinators by adding pollinator-friendly plants to your yard and landscape. 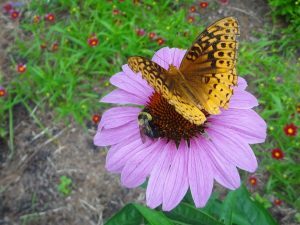 Enjoy colorful blooms all season long that bring many beautiful butterflies and other pollinators to your yard. It’s easy to do. Whether planting just a few pots or a larger garden, you can do real conservation at home to support our pollinator friends as they do their job to keep our environment healthy. Share the challenge with your friends and help us reach our goal of registering at least 500 pollinator gardens in 2019. Together, we can make a big difference for our littlest friends and most important neighbors! 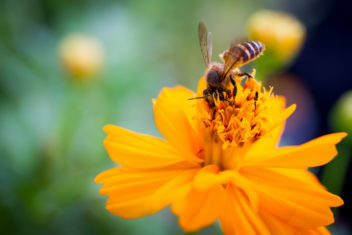 Of course, the larger a pollinator garden, the better it is for our buggy friends, but even a small garden or a few well-appointed containers can make a difference. Gardening should be fun and enjoyable, so be careful not to overcommit yourself. Only you know your limitations on time, money, energy, and interest. Starting small with the option to grow your garden larger in the future is better than becoming overwhelmed and giving up altogether. As a rule of thumb, we estimate that a 100-square foot garden (10’ x 10’) will take 4 to 6 hours to till, prepare, plant, and mulch. Once planted, it will require 10 to 20 minutes a week to weed, and just a little time to set up watering during drought. 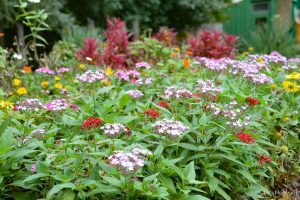 You might be tempted to rush to the garden center and pick the first plants that catch your eye, but you, your garden, and pollinators will all benefit if you consider which plants perform best in our area for pollinators. Fortunately, through our plant trialing program, we have already done this work for you! For over 20 years, we have been trialing plants for their function and appearance in regional landscapes. There’s no better method of determining whether a plant will live and look good over time than to plant it in soil conditions typical of the region and observe it. Now that you’ve added pollinator-friendly plants to your yard or landscape, it’s time to register your garden. Remember, you can register a garden of any size as long as it includes at least one nectar and one host plant. Help us reach our goal of registering at least 500 gardens in 2019! 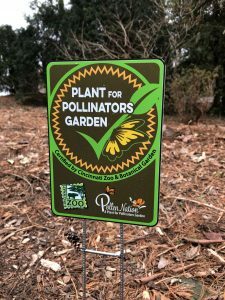 Once you submit a completed application form, you will receive a digital certificate recognizing your official Plant for Pollinators Garden certified by the Cincinnati Zoo & Botanical Garden. 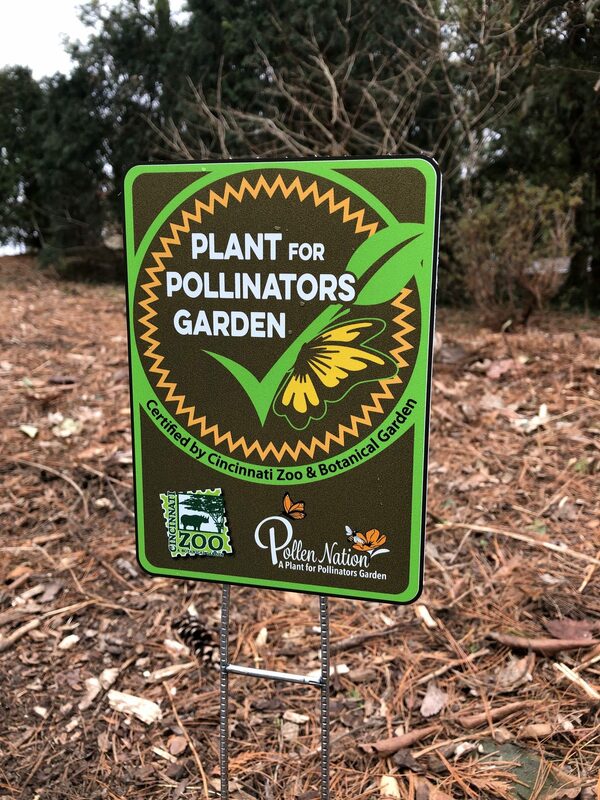 You’ll also have the option to purchase a yard sign to place in your garden, letting your friends and neighbors know that you care about pollinators. Click here to go to the Cincinnati Zoo registration page.